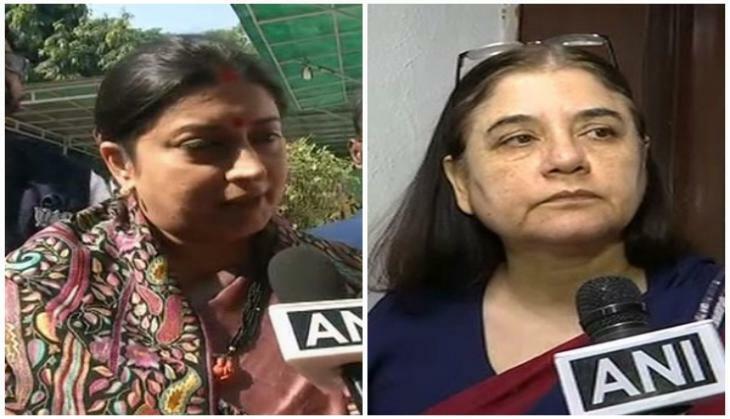 Union Minister for Drinking Water and Sanitation Uma Bharti has announced that she, Women and Child Development Minister Maneka Gandhi and Minister for Textiles and Information and Broadcasting Smriti Irani, have decided to look into the problem of menstrual hygiene by directing secretaries of these ministries to look into all aspects of the issue and come up with recommendations. 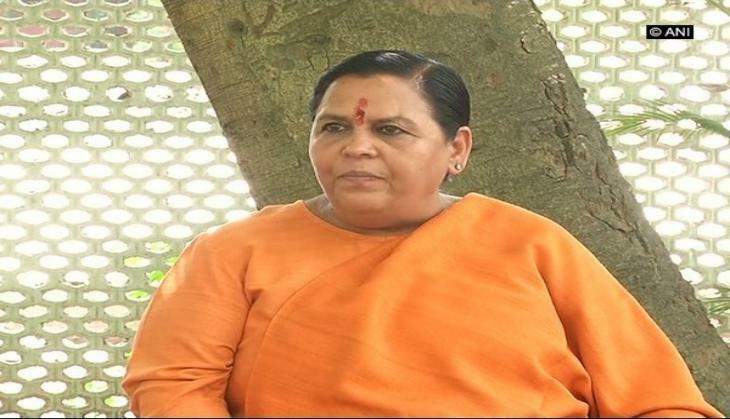 Addressing this issue at a press conference here, Bharti said secretaries of the three ministries have been asked to collectively look at all aspects ``from A to Z'' regarding the issue and come up with their recommendations. Menstrual hygiene is an integral part of the sanitation programme of the government. This team of officials will go into all the aspects of the manufacture of sanitary napkins, their low-cost availability and their hygienic disposal,'' she said. 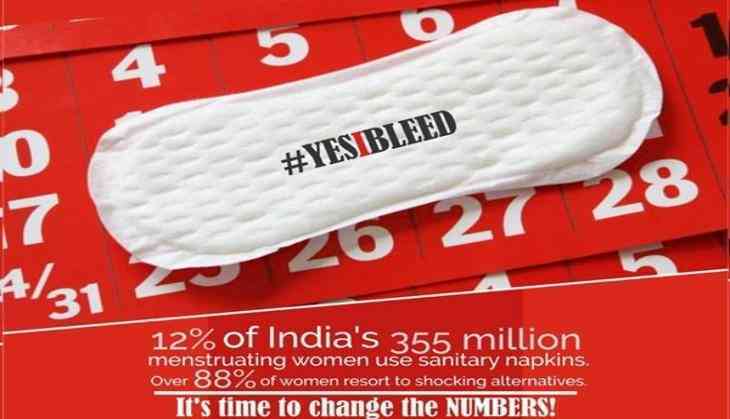 Bollywood films like Phullu and Padman, the #bloodnormal campaign by a UK-based sanitary napkin maker and now... #YesIBleed, a campaign led by media professionals in Delhi. Perhaps the taboo and shame about menstruation that has led to unhygienic practices across India are finally being addressed. The announcement by Uma Bharti comes just a few days ahead of the launch of the #YesIBleed nation-wide campaign by SheWings in association with the Women and Child Development Committee of PHD Chamber of Commerce and Confederation of Women Entrepreneurs (COWE). Union Minister for Women and Child Development Maneka Gandhi will launch the campaign in New Delhi on February 20. Ravi Shankar, Co-Founder of SheWings, said the campaign was conceptualised to promote menstrual hygiene awareness through the youth of the country. "We hope to involve the nation's youth in such a manner that this critical issue of women's reproductive health becomes a pan-India movement which is sustainable and can be carried forward by the youth". Bollywood and Punjabi actor Divya Dutta will also be part of the launch. "I exhort everyone, especially the youth, to come forward to support the initiative as real change can happen only through them", she said. Reiterating that it is high time people dispel the misconceptions that surround the normal physiological process of menstruation and discard the restrictions imposed on women during "the time of the month", Madan Mohit Bhardwaj, Co-Founder of SheWings, said that having open conversations with women as well as men is the key to promote awareness on the issue. The event will also see medical professionals talk about practical issues that surround the process of the menstrual cycle, as well as representatives from the development sector who will talk about the critical issue of disposal of sanitary pads, especially among economically less privileged women and the choices available to them. According to the results of the study, "Sanitary Protection: Every Woman's Health Right", undertaken by A C Nielsen, only 12 percent of Indian women have access to sanitary napkins - the remaining 88% having no access whatever. They find sanitary pads unaffordable. In India's rural areas, with the lack of resources, education and awareness about personal hygiene, not just lack of information about hygiene products, the women don't even have any conversation around menstruation. For the less privileged, periods are the few 'cursed' days of the month. A woman on her periods cannot enter the temple, kitchen or take part in any auspicious occasion - because she is 'impure'. The 88 percent who do not have access to sanitary pads use unsanitised cloth, husk sand, tree leaves and even ash. These can cause severe reproductive health problems and infections, and can also lead to cervical cancer. Apparently it is high time that people understand that menstrual hygiene is of utmost importance.Such openness about puberty and menstrual hygiene is a welcome step in a country where even mothers avoid talking about it with their daughters.